Most beauty articles and blog posts I read are often about the newest beauty product or the next collection, overlooking the already popular cult classics from the brand. So I decided to do a post of my own featuring products in my stash that have achieved cult classic status and live up to the hype. 1. Bobbi Brown Gel Liner - I have the shade caviar ink, which is less dark than black with a touch of purple. It goes with everything basically. And while I was always a powder-with-an-angled-brush fan, this has 100% converted me. Truly smudge proof, easy to apply, and one pot may actually last me my entire lifetime. 2. Seche Vite Top Coat c/o - I go the salon weekly to get a manicure and well, their basic Essie top coat wasn't cutting it. So I decided to bring my own Seche Vite top coat to see if my manicure lasted longer, and voila! It did. Now I use nothing else. 3. By Terry Rose de Baume c/o - This is the 10th anniversary edition, which makes it even more fabulous and cult classic worthy. Use it on the lips, use it on your cuticles, heck I have even used it on my face with stubborn dry patches. It's a moisturizing cure all. 4. Laura Mercier Secret Camouflage c/o - I opened this for the first time and was sure I had the wrong shade. Just look at that white/yellow shade, next to a super orange-y peach - yowza! But I felt that a gazillion good reviews can't be wrong, so I gave it a shot. Welp, that's all she wrote folks. It is glorious. I mix the two colors together to get a perfect shade for under the eyes and while it feels quite thick, it does not cake up, dry out during the day or settle into fine lines. How have I lived this long without it?? 5. Liz Earle Cleanse & Polish - I have spoken about this before on the blog, so many of you should know my feelings already. Cleanser from heaven. The rich texture feels great on my skin, and when used with the included muslin cloth, my skin is left feeling soft, exfoliated and radiant. Dull and lackluster skin need not apply. 6. REN Glycol Lactic Radiance Renewal Mask c/o - A mask of all masks. A glow of all glows. I use it once a week and I swear it is making me younger. Pores appear smaller (they can't actually shrink remember? They can just appear so), breakouts stay away and my skin tone looks more even immediately after each use. Get it and thank me later. 7. First Aid Beauty Ultra Repair Cream c/o - I know this is a relatively new brand, but this product quickly shot to the top of many people's favorites list. I have oily skin and was hesitant it would be too rich - nope. Not at all. A little goes a long way for me, but nothing banishes dry skin and post acne flakiness like this cream. And there have been a few days recently when this winter weather left my face raw and red (Mother Nature, that b*tch), and this was the only product that could soothe it. Ahhhhhhhh. 8. NARS Laguna Bronzer - Yes I know it is housed in a duo in the above pic, but let's just focus on the bottom bronzy shade - otherwise known as Laguna. This is not only a cult classic, I feel this bronzer has become an institution. Laguna for life is many people's motto. And I can understand why - not too brown, not too orange, not too shimmery, not too matte. It's falls perfectly in the middle of everything. The Goldilocks of bronzers if you will. 9. MAC Lipstick in Lady Danger - Though many people may call on numerous other colors from MAC as a cult classic, I still feel this is one of those shades that is always recognized when worn. A matte texture, an opaque coverage, and a vibrant color pay off that will never have you go unnoticed. This color is the real deal - red orange at it's best. And I have seen almost every skin tone wear it and look good. Expect people still to be talking about this color 50 years from now. What are some of your favorite cult classics that I didn't include? Or better yet, what cult classics do I need to try next? Indeed the Bobbi Brown gel eyeliner is the best I tried so far. I have to say though the NARS is a close second for me! 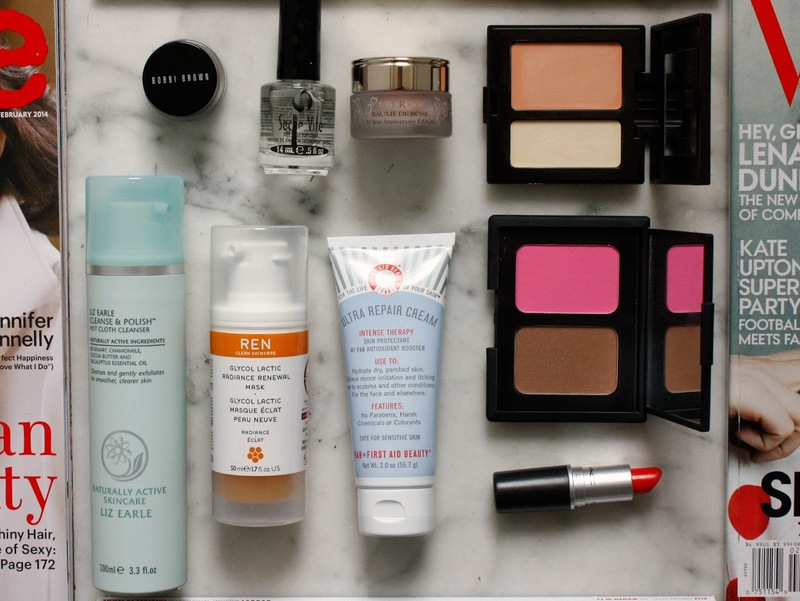 I am in love with so many of these products, great suggestions! I definitely love the FAB Ultra Repair Cream!